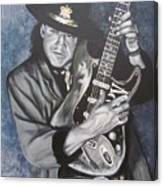 Srv - Stevie Ray Vaughan by Eric Dee - 7.500" x 10.000"
Srv - Stevie Ray Vaughan metal print by Eric Dee. Bring your artwork to life with the stylish lines and added depth of a metal print. Your image gets printed directly onto a sheet of 1/16" thick aluminum. The aluminum sheet is offset from the wall by a 3/4" thick wooden frame which is attached to the back. The high gloss of the aluminum sheet complements the rich colors of any image to produce stunning results. Wonderful artwork, Eric, congrats on your sale! Thanks Tanya! That piece is hanging in a movie producer's 'Music Room' in LA. 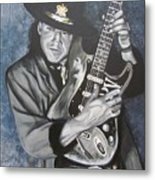 I would love to do another SRV soon - need more time these days for painting. Thanks for the nice comment! 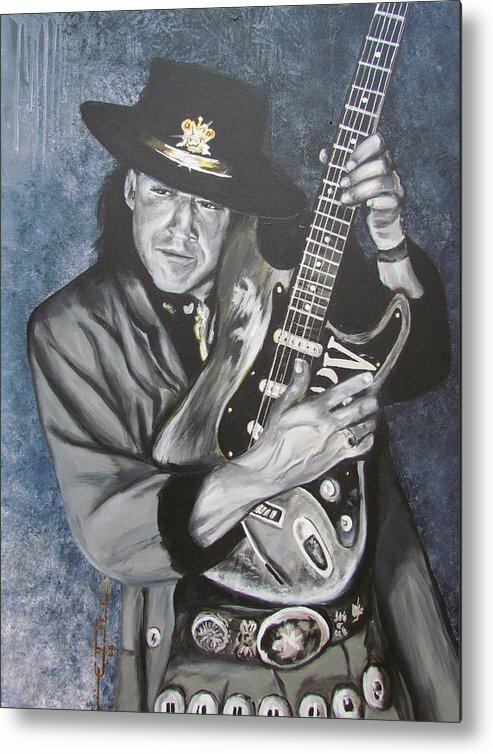 Agree with you Eric - SRV is the king of the blues! You gave him a justice in your stunning painting- awesome tribute! Fav/Like. Great work, Eric! Beautiful capture of a legend; congrats! Congratulations, on a job well done. Incredible talent and I am not just talking about Stevie! Congratulations on the sale. Nice job. 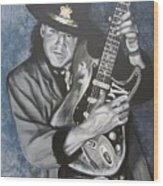 SRV was to me the king of the blues.